Grace Road Group Limited continues to venture into more businesses. The group is planning to open to three more Sunny Pizza restaurants this year. 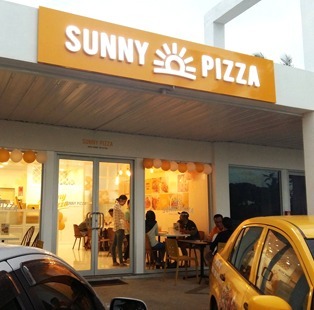 Meanwhile a new Sunny pizza restaurant opened in December at Kundan Village, Princes Road, Tamavua. The group’s Media Relations officer Grace Park said a significant amount was invested in the restaurant. “There is a lot of demand for Sunny pizza late at night since it is so close to large residential area,” Ms Park said. Tamavua Sunny Pizza has introduced cassava wedge in its menu. “This cassava wedge is made purely with cassava organically grown at Grace Farm. Its crispy golden-brown texture on the outside with soft, moist texture on the inside is like potato chips, but with more content and richness that provides a better taste. “Cassava wedge comes with our special tartar sauce for the best combination. Also spicy chili fried chicken is now available at Sunny Pizza. The Grace Road Group is planning to open its third Studio GR Beauty salon branch in Tamavua. The first branch is located in Lami while the second is at Martintar’s Eden Plaza, in Nadi. Sunny Pizza Tamavua is open from 9am to 10pm from Monday to Saturdays and also during public holidays.